During the 1800s the population of Victorian England were quite literally eating, wearing, sleeping and washing themselves to death with arsenic. While researching rat poison, strictly for my novel, of course, I came across some startling facts. Arsenic was used as a common green colourant, creating the gorgeous Scheeles green, Emerald and Paris green dyes. Arsenic dyes went into everything from wallpaper, clothing, jellies, sweets, artificial flowers, soaps and candles, as well as children’s toys. 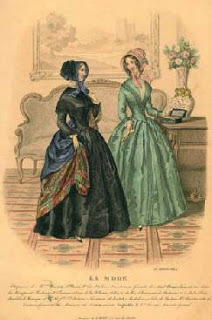 Ladies swooned in their bright crinoline gowns, never suspecting their dresses were poisoning them and the cause of their aches and pains. A person could become ill just sleeping in his bed surrounded by fashionable green wallpapering, breathing in the paper dust and vapours. With the ready availability of the impossible to taste, smell, detect, common household grains or bottles of liquid arsenic, there were plenty of deliberate poisonings too. Symptoms of arsenic poisoning imitated common gastric complaints and ailments: stomach pains, cramping muscles and sweating, and it is thought that many murder victims went to their graves under the guise of food poisoning or intestinal diseases. Desperate murderers of the day often sought to claim the “life insurance” held by many householders to afford them a decent burial when the time came. For some, that time came sooner than expected. It was the late 1800s before synthetic dyes began to replace arsenic greens, and quite some years after their poisonous nature was first discovered. Makers of millions of yards of wallpaper and other manufacturers held out insisting that their products caused no harm, until science could irrefutably prove that arsenic was poisonous in such applications and not just through ingestion by mouth. 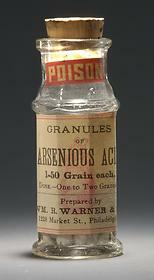 By the 1900s forensic science could detect arsenic in the deceased and it passed out of popularity with poisoners too. 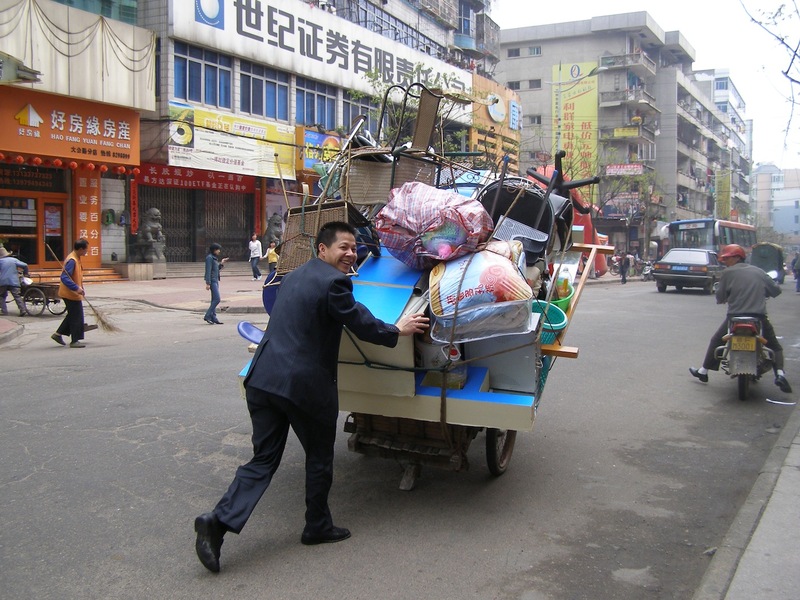 I was gobsmacked to see this guy moving house in Fuzhou, China back in 2006. It was incredible how much he had stacked on such a small cart. We were lucky to have a large moving van and a couple of energetic professionals to assist us in relocating our worldly goods. Incredible does not quite seem apt enough a description for the above Chris. Well done you for even surviving it all, with or without added arsenic! The more I read, the more I think that we’re very lucky to live in easier times. At least I’m not too worried about the clothes I put on. Then again…what do we really know about a lot of things, even today, until too late? So true Chris. I agree but what if they discover over 3 hours of iPad use per day is as poisonous as arsenic is in the next few years? Won’t we feel the numbats! Such is the evolution of humanity I guess. Yes, I think you’re right, Dimity, about the evolution of humanity. Guess it helps keep the numbers down a bit. Hmm! I might be safe from 3hrs of iPad per day, but the computer, now that’s a whole other story. Congratulations on your achievements for the month, Chris. In the 1970’s, I worked in a local museum. All the taxidermied animals and cabinet skins that we handled were covered in arsenic dust. No-one suggested wearing a mask. And of course we sawed blue asbestos sheets to roof the shed, etcc. As Dimity suggested, I fear for the health of our kids who just have to have their mobile phone under their pillow at night, potentially cooking their brains – but of course, they don’t believe they’ll come to any harm, and they are awake later than I am, so they are unstoppable (especially now they’re aged 23 and 25). Did you find yourself getting sick, unexplainedly, while you worked at the museum? Horrifying how many worked with asbestos in one way or another with no way of realising the dangers. Unsuspecting renovators suffered similar contamination with lead paint. The brain cookees are a worry. Despite warnings, they still persist. It seems to be more mature, shall I say, than aged, users that are more conscious of the reported links to brain frying. Scares the hell out of me. But I guess we’re a lot more “mortally” aware as we get older. It was a long time ago, Chris – but it’s certainly conceivable that I had days when I wasn’t feeling the best. 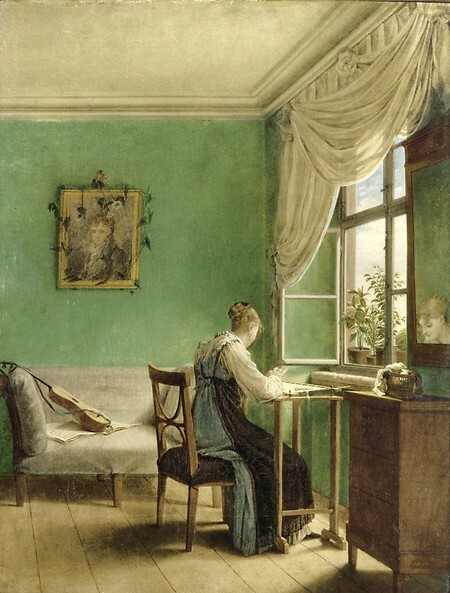 As you know, my YA in progress/on the back burner is set in England between 1820’s and 1870 and it will be a creative biography (told from the character’s brother’s imagined p.o.v.). There are a couple of family members who died before they were 40 and whose death certificates I have yet to acquire. It certainly makes you wonder how many were accurate. 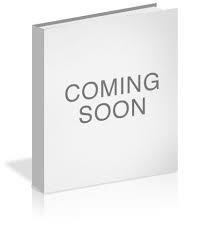 My best friend and his wife are both medical specialists in England – dermatologist and ophthalmologist. One of their big concerns is the amount of dishwashing detergent that is consumed from un-rinsed crockery, glasses and saucepans etcc., and they rinse everything very thoroughly with filtered/purified water. 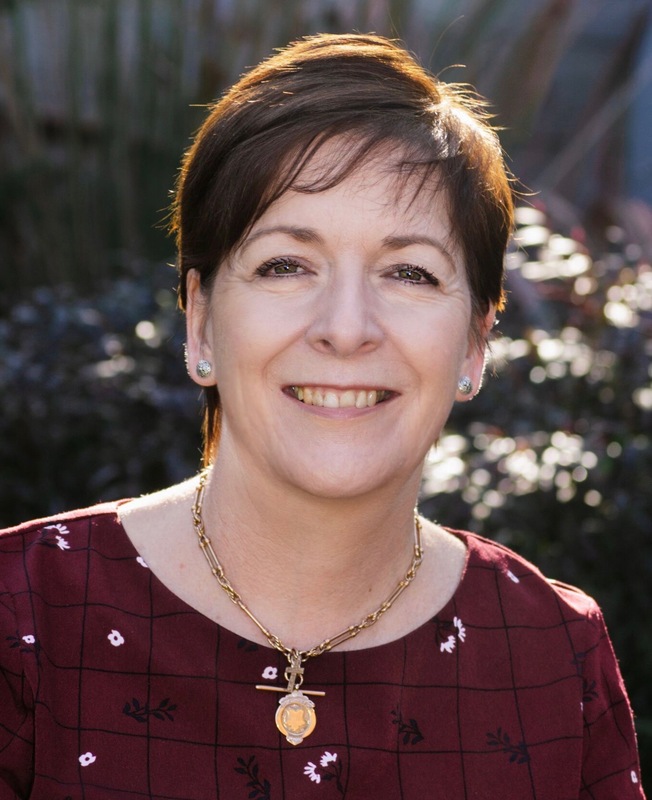 Part of their care has no doubt resulted from the lady recovering from cancer somewhere in the gut (been clear now for about 20 years) – but even so, through their research and knowledge they still believe young people are heading for potential trouble from this cause alone. Peter, it would be really interesting to know how many death certificates were accurate years ago. I suspect a lot of mis-diagnosing went on even when no “foul play” was involved. The effects of dishwashing liquid is not something I’d not given much thought to. I am now going to investigate since you have raised concern, which is a good thing in such cases. This is fascinating, Chris. I love little gems like this. The things people did to themselves in the past. Makes you wonder what fabulous things we’re doing to ourselves now with all those preservatives etc. Ladies were using arsenic mixtures as far back as the Middle Ages to lighten skin tones and the ancients Romans and Greeks used lead concoctions to do the same. I’m interested to know the long term effects of Botox. But when I look in the mirror of late, well, it’s tempting! Oh, Dimity, it does. (And I’m very sorry to hear that you are part of the JH saga.) I’m sure we don’t know the half of what is in what. Nothing is revealed until tragedy or major repercussions. Even then, look at the tobacco industry, they knew the effects long before litigation became rampant. Still the manufacturers did nothing. Same reason as the wallpaper barons did nothing about removing arsenic, the bottom line ledger figure. Arsenic occurs both naturally and can leach into groundwater. Research shows a correlation between low doses causing respiratory conditions and cardiovascular disease, amongst other nasties. I was just reading how foods like rice can pick up arsenic from the soil. I love rice and eat a lot of it. Knowledge is protection and power, but it’s also extremely concerning. Wise words all round Chris. Knowledge is indeed protection and power. What we choose to do with all three is entirely a matter of choice, need and must.